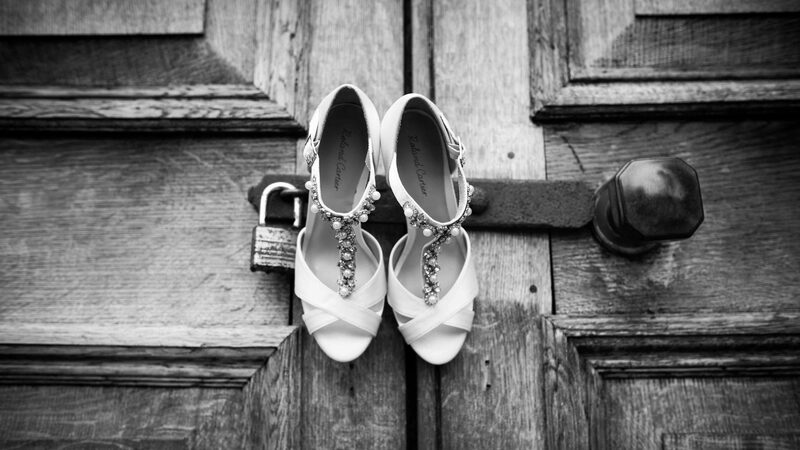 Stephen & Siân tied the knot at one of our favourite venues – Compton Verney. A renowned art gallery, Compton Verney is certainly an impressive venue to hold a wedding. It is something slightly out of the ordinary! Set in 120 acres of beautiful greenery, this gorgeous Grade I listed Georgian Mansion is enchanting, picturesque and elegant. With high ceilings, marble floors and rich colours – this backdrop really is everything you could dream of. When we first met with Stephen & Siân, their day sounded like good fun. It is fab working with a couple who are up for something different. 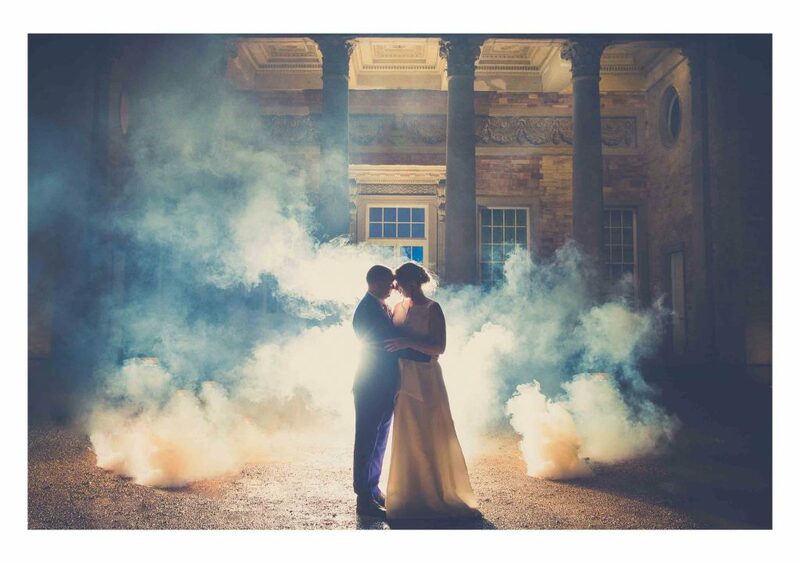 Stephen & Siân were super keen to use some smoke grenades and have sparkler photos which for us is just great fun! We were also excited to hear that this lucky couple were able to choose a 1909 Albion 30hp tourer as their wedding car. We knew this was going to make for beautiful photos. On the morning of the big day itself, we joined Siân as she got ready alongside her Bridesmaids at home. It was a relaxed morning and with a mid-afternoon ceremony – the girls had plenty of time to prepare for the day ahead. When we reached the gorgeous Compton Verney – the skies opened but this didn’t stop Siân & her father from enjoying the beautiful ride down the gravel driveway in their vintage car! Compton Verney’s stunning galleries are the most wonderful place to hold a wedding. Stephen & Siân’s ceremony was perfect and intimate with just their closest friends and family witnessing the occasion. Before the newlyweds joined their family for a wonderful sit-down meal, we took time to take some photographs out in the grounds. Despite the weather at times being a little testing – it was great fun and we captured some fantastic memories. The table set-up for Stephen & Siân’s meal was one long, beautiful table with guests sat either side. The Gallery looked incredible. The meal was followed by speeches, a cake cut and a first dance. We then headed outdoors to capture some fantastic sparkler and smoke shots. Congratulations Mr & Mrs Laing. Your entire wedding was stunning and we enjoyed every single moment. Enjoy this? Take a look at Tracey & Nick’s Wedding!